Wriddhiman Saha to miss Afghanistan Test? Home / Sports / Wriddhiman Saha to miss Afghanistan Test? 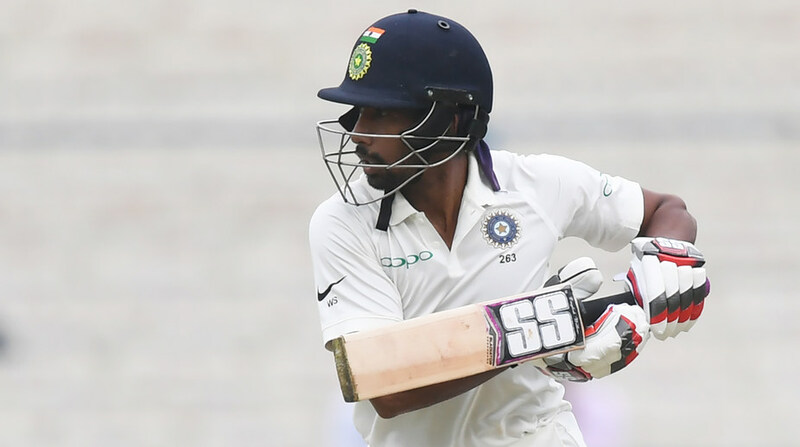 India’s Test wicket-keeper Wriddhiman Saha’s participation in India’s historic one-off Test match against Afghanistan next month has come under doubt after he suffered a thumb injury during the second qualifier match between SunRisers Hyderabad and Kolkata Knight Riders at the Eden Gardens on May 25. Saha’s injury will be assessed by the Board of Control for Cricket in India (BCCI) medical team and a specialist doctor, who will then recommend a future course of action. “To determine the future course of injury management, Mr Saha will see a specialist and the BCCI Medical Team will continue to monitor his progress,” BCCI said in a media statement. Saha is the only recognised stumper in India’s squad for the five-day affair in Bengaluru starting June 14. If the Bengal keeper fails to recover in time for the game, Dinesh Karthik or Parthiv Patel might get a look in. Saha, 33, had a poor IPL managing just 122 runs in 10 innings at an average of 15.25. Behind the stumps also, the otherwise highly rated keeper looked shaky at times, dropping a few catches during the course of the T20 tournament. Saha had to return home from South Africa as well due to an injury he picked during the first Test at Cape Town. After the Afghanistan Test, India will again be seen in white flannels in England where Virat Kohli and Co. will play five Tests.